This week Gus and I decided to share two, yes TWO, albums for our Album of the Week segment. They’re both from the brilliant mind of Oddisee and they’re both worth spinning, multiple times. On Oddisee’s 2011 breakout, Rock Creek Park, we were thrown into an album full of illustrious compositions that came looped and bit us in the ear. Rock Creek Park was sonically cohesive, and it was a bag full of sunshine that sprayed sounds in all directions. 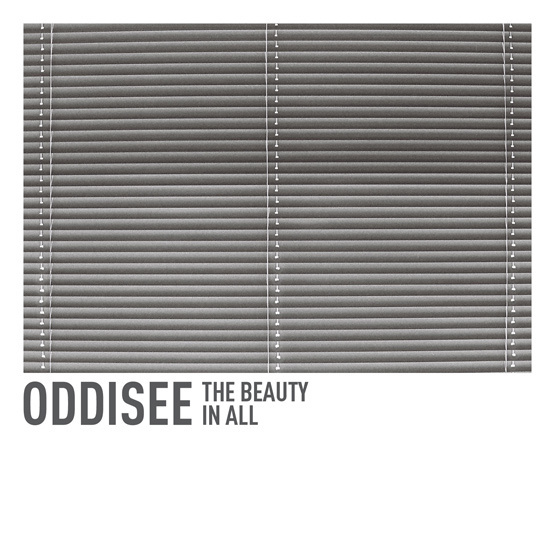 On his 2013 record, The Beauty In All, Oddisee gives a more comfortable approach, but that’s in no way a detriment to his sound. “After Thoughts” is the opener, and as it glides on “aww-ing” chords, the percussion and bass soon give way to a head-bopping landscape. “After Thoughts” is an instrumental that represents a night drive, or a walk on the beach, or a smooth tectonic shift beneath the Earth’s crust, and whatever vision appears when this track plays, one thing is certain: it’s a keeper. See, imagery is so key with instrumental albums, because if you can achieve a sense of recognition in senses other than the ears, then the replay value on the record or song is monstrous. “Fashionably Late” stutters and changes its pitch within the first 30 seconds, and by the the half-minute mark you’re left with a track that radiates. Strong piano chords throb under Caribbean keys, blurry synth pads yelp over tic-tacking percussion and swirling synth loops reminiscent of Garage Band tracks flutter and fly. For nearly seven minutes “Fashionably Late” glides, and it’s neither too outgoing nor too constricted. It takes you on a smooth journey through grandiose sound, simply indicting the potential The Beauty In All possesses. “Lonely Planet” starts out moaning, with low hums and clacking drums, but it soon transitions into a jazz club standout. By mixing stretched guitar chords and plinking keys, Oddisee is able to channel J Dilla, Flying Lotus and Duke Ellington all on one track. The screech and the repetitiveness of the main synth goes back to FlyLo’s 1983, and the jangling rhythm presents a worldly approach to a track that’s already diverse. On “Social Insecurity”, Oddisee blends hip-hop funk with soul, and the echoing flutes and tumbling piano swells pull the track all together. It’s easy to look at a record like this and just see another instrumental piece, but the true value comes from each track. Oddisee is able to tote a sound that’s expansive and empowering, almost throwing the “beauty in all” title right at the listener’s face. This in turn is a nod to hip-hop’s evolving sound and influences. Tracks like “Caprice Dawn” and “Patience In Play” are just as vocal as they are musical, because Oddisee’s layering fuels them to become full entities. Breathing and speaking, these tracks bring in old influences while creating a unique sound. “Fievre” is able to blend a carnival-like loop with a melodic ballad all while rushing from one corner of the ear to the other with fervent drumming and a hopping bass. The echoing carnival sounds play almost as the song’s center theme, while the cryptic piano and organ keys talk recklessly like a drunken friend. By 2:20, an outsider by way of a synth presents a funky breakdown that brings variation and change to an already stellar track. The Beauty In All is aptly titled because of the music that backs up the record. 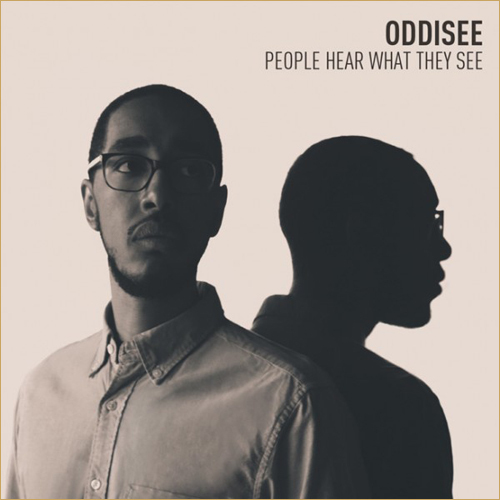 Each track is piled high with varying pitches, instruments and influences, and just when you think a song can’t get any more distinct, Oddisee throws in sound to throw you off. The thing is, there is beauty everywhere on this record. Not only is it diverse, but it represents hip-hop on a world scale. Moreover, it showcases hip-hop’s growth and evolution. Though not as throttling as Rock Creek Park, The Beauty In All is a testament to Oddisee’s ability to switch courses with continued success. It’s a record that has many feels, and in the end, it’ll be a record that outlasts and outwits because of its influence. This explanation of the album is important because it gives the listener a sense of the how this record was made. From the outset, PHWTS sounds different. With a scratchy guitar riff, Tuba and heavily syncopated drum beat, “Do It All” begins with the line, “I’m tryin’ to make the world know me/ Stack G’s, yet be low key/ Get paper with my brothers like the majors, but we so free.” Right away, Oddisee is taking us away from a typical narrative about fame and fortune. Instead, he turns this upside down as he expresses the desire to be successful and stay on the grind. However, the goal is to do this a humble, nonchalant manner. On “Let It Go” there is more of a disco feel that is heavy on the hi-hats and crunchy snares. On this track, Oddisee talks about letting go of the stresses in life, never giving up and being in control of what you can. Every track is even better when you try and imagine what Oddisee was seeing when he wrote his rhymes and how he came up with the sounds for each beat. People Hear What They See is an essential record to have in your collection as it takes hip-hop and the concept album to a different level. The beats, lyricism and feel of the record are on point. At times you just want to get up and dance but then the rhymes cut in and you just want to sit down and take in everything that is being said. This is a testament to the production and lyricism, full of live samples,coarse drum beats and lines like, “One man’s trash is another man’s treasure/ But most men treasure what other men have.” If you let this record run from start to finish I promise that you will not be disappointed and you will learn something about music. Listen to both albums here! world of espionage films. On arrival at the water’s edge I noticed what appeared to be a stone altar nestled on the opposite shore. such as A reversal of justice Quest.